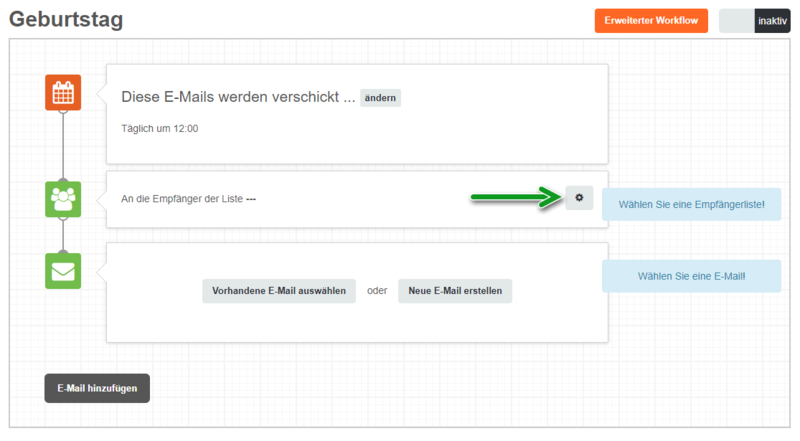 To send your recipients an automated birthday mailing with THEA, it's essential to properly prepare your recipient lists. Please note that CleverReach uses the American date format MM-DD-YY. Enter the name of the field and select the data type [Date]. Create a segment to filter all recipients whose birthday it is today. Go to [Recipients] and open die respective recipient list and click on [Segments] and [Add segment]. 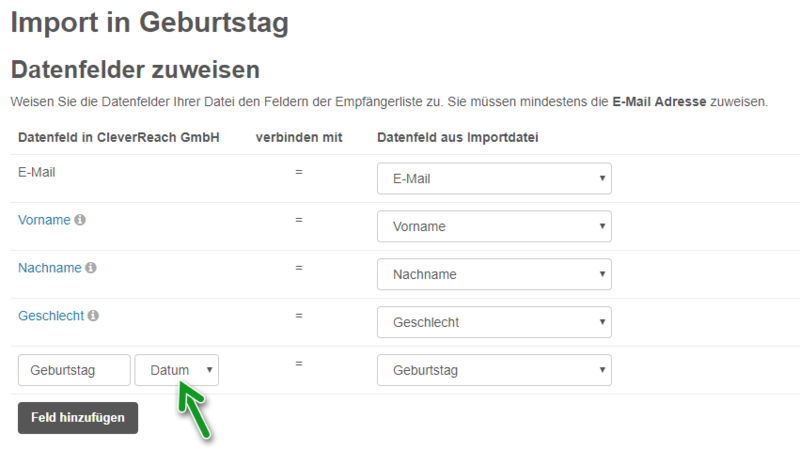 In the left drop-down menu, select the field in which you have saved the date of birth, in the middle "is today (yearly)" and enter a "0" in the right field. This segment now filters all recipients whose birthday is today. 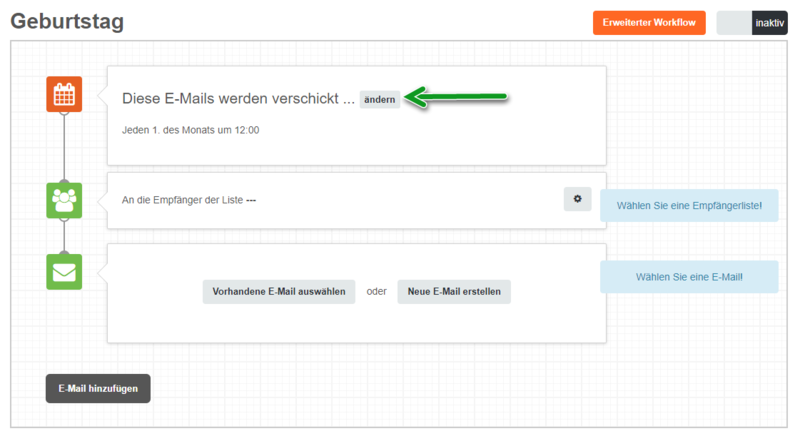 Now we create the automated mailing. Select [Single-track Workflow] and [Event]. Name the workflow as you like. 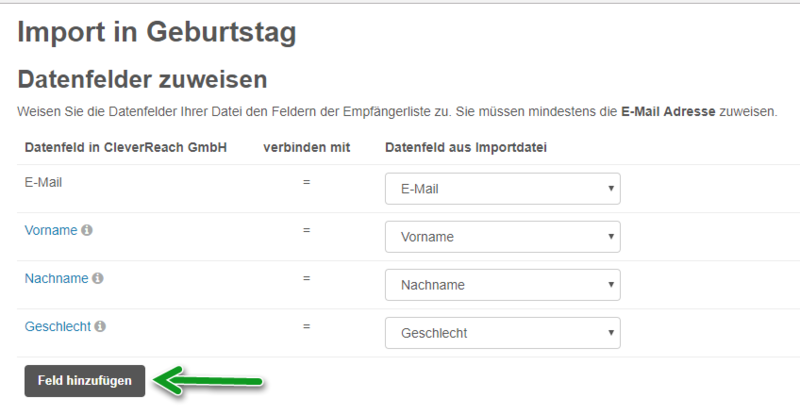 Now click on  to determine when your mailing should be sent. Select that the automation should start daily and the time as required - when the recipient should receive their birthday mail. 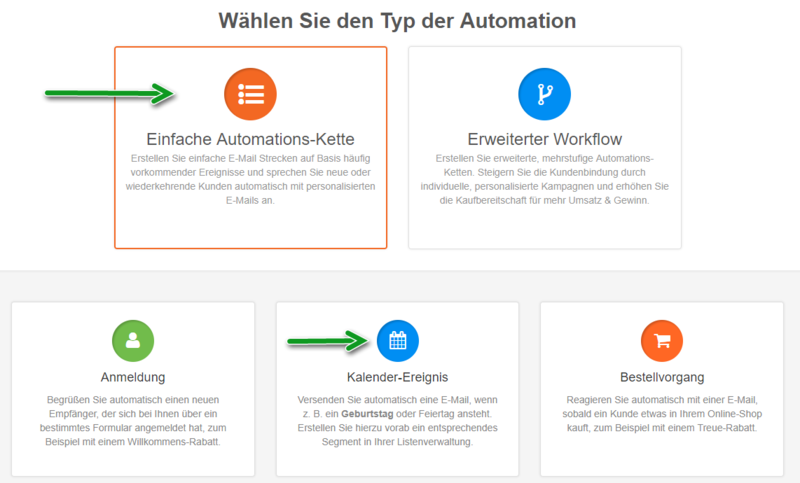 Click on the [Gearwheel] to determine to which list the automation should be sent to. 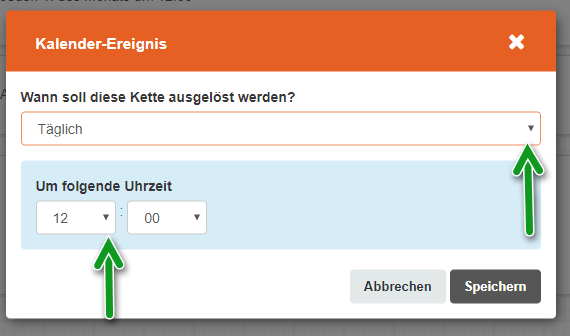 Now select the list, click [Next Segment Only] and select the segment you just created. The automation is now only sent to those recipients who are part of this segment. We have set up the segment in way that only those recipients whose birthday is toady receive the automation email. 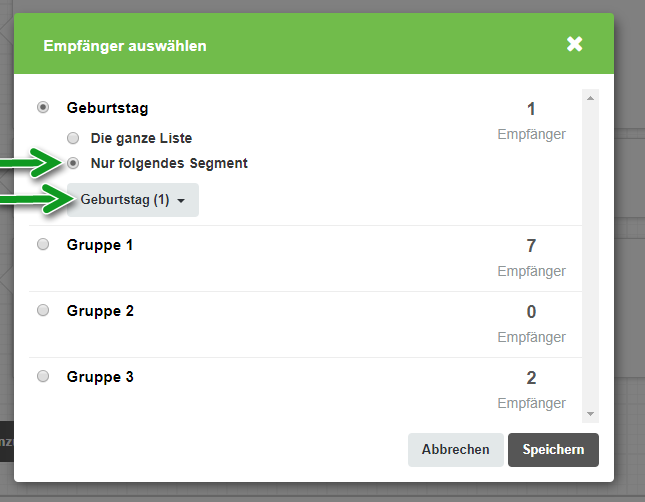 Now all there's left to do is creating an email as usual with the content you want to send your recipients for their birthday.